Roguelikes are growing in popularity. 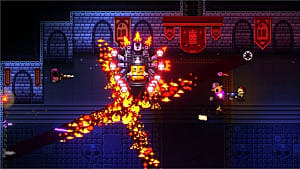 From games like Enter the Gungeon to recent sidescrollers like Flinthook, the number of roguelike games releasing each year is seemingly infinite. 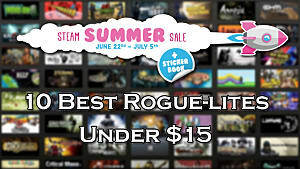 Predicated on journeying through procedurally generated levels that predominantly showcase tile-based graphics, Roguelikes have carved a niche for themselves, especially with players that take permadeath seriously. There are a handful of roguelikes on each console, but most seem to start on the PC before moving over. 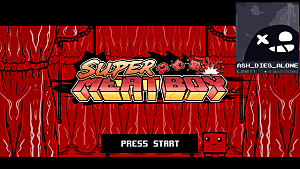 Once these games gain good enough reception, they're typically ported to consoles or mobile devices. And although your Android or iPhone may not be the best device on which to play roguelikes, there are tons of great games that exploit those devices' best features. So if you're a heavy mobile gamer and would like to take a chance at playing some truly punishing roguelike games, here are 7 great entries you can choose from right now. From the creator of Super Meat Boy comes the Legend of Zelda- inspired nightmare fuel known as The Binding of Isaac. An RPG shooter roguelike with some truly grotesque imagery and controversial anti-religious themes, The Binding of Isaac is a great game overall. 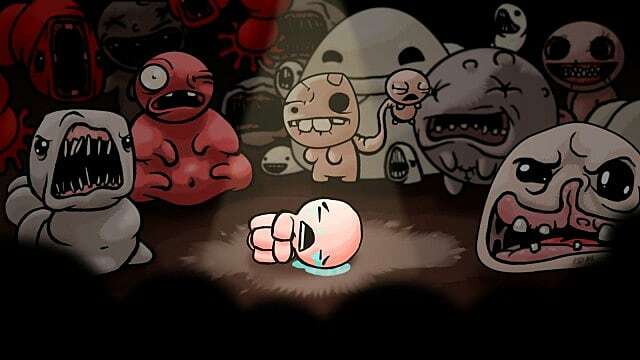 In The Binding of Isaac, the player takes the role of the titular character as he journeys through various dungeons and faces the horrors that await him. 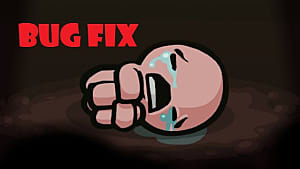 Certain items can change Isaac’s form and give him powerful abilities, while most items gained will be lost once the player is killed. The Binding of Isaac: Rebirth is an enhanced remake with a new game engine, all-new hand-drawn pixel style artwork, an all-new soundtrack, and plenty of revamped enhancements. Offering more 500 hours of gameplay, this game would be hard for any mobile gamer to put down. In this 2015 game developed by Watabou, players explore the eponymous area as one of four classes -- Warrior, Mage, Rogue, and Huntress, -- to collect various items and fight formidable foes while hoping to find the Amulet of Yendor. As with most roguelikes, permadeath is a key feature in this game, and when players die, they lose all of the items gained from their past run. Pixel Dungeon has a bit of a story, mostly provided through text summaries given before each stage, which range from dungeons and caves to even a dwarven metropolis. But overall, the story elements in this roguelike are light. The art style of Pixel Dungeon is generic pixel art -- which doesn't make it stand out much -- but players should be having such an enjoyable time with the gameplay that the art style will be nothing but an afterthought. Crypt of the NecroDancer -- a game developed by Brace Yourself Games and released in 2016 -- is perhaps the most unique game on this list. In it, players move their character to music -- either with the game's original soundtrack or their own iTunes library. Unlike traditional roguelikes, the player can only move or attack when they execute an action to the beat of the music. As with most rhythm games, each successful movement boosts a coin-scoring multiplier. 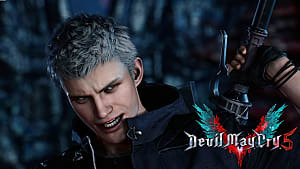 If the player fails to match the beat, they will not be directly harmed in most situations, but the scoring multiplier will be reset and the character may be harmed by a nearby monster if they are in their attack path. When (or if) the character's health meter depletes, the game ends. In addition to various temporary items that are lost upon player death, there are permanent character ability enhancements that can be purchased in the game's lobby. 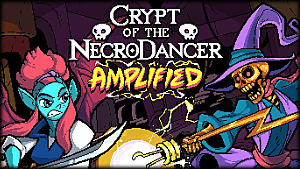 Crypt of the NecroDancer also has quite a story, which adds to the game's replay value, and due to its ability to play and utilize music from the players iTunes library, it's addicting gameplay, and it's Super Nintendo RPG isometric graphics, players should have a ton of fun jamming to this game. In Wayward Souls, players choose one of six different characters -- Warrior, Mage, Rogue, Adventurer, Spellsword, and Cultist -- who all have their own unique playstyles, abilities, and equipment. Each character can also find equipment that will change or enhance their playstyles. On top of that, players will journey through 13 different area types, each with a variety of different enemies, traps, and rare encounters, which can kill them and steal all their items if they're not careful. The bosses and overarching story of Wayward Souls are the same for all six characters. The tower featured in the game has been cursed after its residents stumbled across evil magical relics. But as the overall story is the same for each character, each of the six characters has their own separate story as well. These are unveiled through text interludes between sections and scripted encounters. The art style is inspired by games like Secret of Mana and Chrono Trigger and adds a bit of charm to this otherwise standard roguelike. Wayward Souls would be a good pick for any mobile gamer who enjoys Super Nintendo-era RPG graphics and a variety of different gameplay styles. Tallowmere was developed by Chris Mcfarland and released in 2015. It is unique in that it's one of the few sidescrolling roguelikes available on mobile devices. In Tallowmere, one of the player's most important weapons is his or her shield, which they can raise to block enemy attacks or lower to strike foes when the timing is right. The player will also collect weapons, outfits, headgear, and more powerful shields as they search for the key to the next room. As with most Souls inspired games, souls from defeated enemies allow the player to increase their character's stats and abilities. The player will also collect weapons, outfits, headgear, and more powerful shields as they search for the key to the next room. As with most Souls inspired games, souls from defeated enemies allow the player to increase their character's stats and abilities. 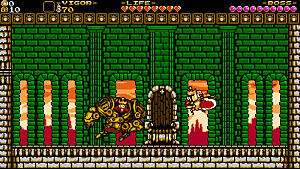 Tallowmere's art style is unique: characters are drawn in a pixelated format, while backgrounds and set pieces are rendered in a three-dimensional style, which helps make it easier to distinguish enemies and items. Tallowmere would be a great game for any Souls series fans who want to try playing a roguelike on their mobile device. The story of Tallowmere is minimal, but one of survival. How far can you make it through Lady Tallowmere's dungeons? Each dungeon dive follows the heroic rise of one adventurer from your civilization. Journey through teeming forests, haunted swamps, teetering cliffs, and glacial mazes to uncover your civilization's whole story. In Sproggiwood, players start out as a simple farmer from an island known as Clog. The player character is then led through a strange portal by a talking sheep. The character then becomes a prisoner of Sproggi, and the rest is history from there. The art style of Sproggiwood is much unique when compared to many other roguelikes, which helps it stand out amongst the rest. It's hard to explain without use of the word "adorable," but just play the game and you'll see what I mean. Sproggiwood is a charming and humorous roguelike that should be recommended to any mobile gamers interested in the genre. Ananias is a game that released in February and was developed by Slashware S.A.S. In Ananias, players explore five different worlds and engage in turn-based combat by choosing one of eight different player classes -- with four "Legendary" classes added in the Fellowship Edition. Each class has been designed with their own playing style, with some being more combat oriented and others using magic spells from four separate types of magic. 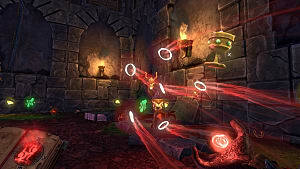 As players progress, they will encounter various monsters that can be recruited by using certain spells. In the story of Ananias, an evil serpent named Kramora has been released from the underworld. The last hope to defeat it is a hidden magic ring that holds the power of the ancient king, Ananias, which the player will be searching for as long as they can survive the dangers that await them. The art style of Ananias isn't quite exactly pixel art, but is similar to certain computer games of the late 80's, such as Drakkhen. Ananias is a great choice for any mobile gamer or roguelike fan who wants a good nostalgia kick from the computer games of the past. Some roguelikes have a difficult learning curve, while others are easy to learn but hard to master. Those seen on this list all have their similarities and differences, but are all roguelike games at their core. While playing these games on other devices would probably prove to be beneficial, having these games available on mobile devices gives players an alternative option to their console counterparts. 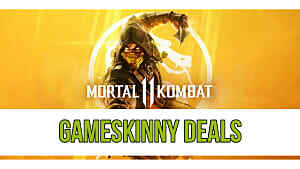 No matter which one mobile gamers are most interested in, hopefully, they'll be able to provide an enjoyable experience. How Does The End Is Nigh Stack Up to Edmund McMillen's Other Games?